A collaboration between multi award winning Newcastle builder/developer Kingston and renowned SDA Architects, this boutique residential complex of 25 apartments offers stylish, affordable living in the heart of Jesmond. 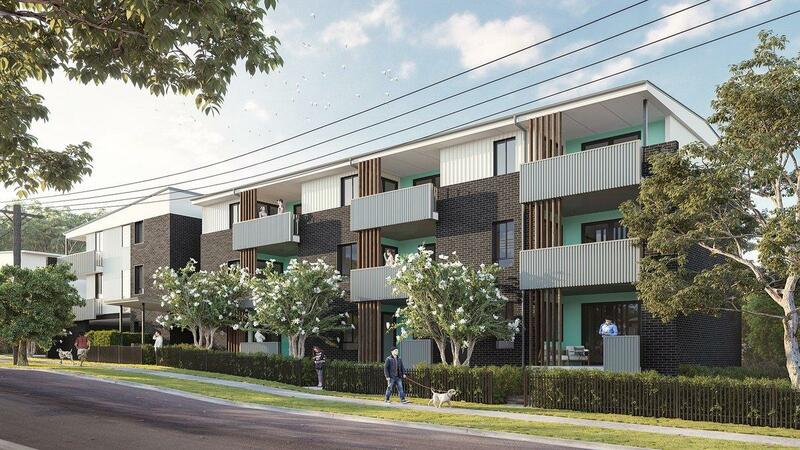 Si Marco Apartments are centrally positioned, only 100m from the cafes and shops of Stockland Jesmond Shopping Centre, less than 1 kilometre to Newcastle University, 3 kilometres to John Hunter Hospital and a short distance to the Newcastle Link Road. The design has contemporary living spaces which deliver well proportioned, functional apartments with a place of comfort and sanctuary for its residents while still encouraging interaction and a sense of community. Set over three floors, each apartment in Sí Marco has been designed to capture natural light, generously sized bedrooms and balconies, with some apartments even enjoying private courtyards. On offer is a range of one and two bedroom air conditioned apartments with secure car parking & additional storage areas. Sí Marco apartments are ideally suited to first home buyers, investors and those looking to downsize into accommodation which is new, contemporary and easy to maintain. Attractive pricing and a quality design will ensure these apartments are well sought after, so get in early so you don’t miss out on the project that is the changing the face of Jesmond. Contact Justin Redpath from McGrath Estate Agents Newcastle for further details.